There are so many holidays in Bansko that the city and its guests are actually celebrating year round, and in a very attractive way. Starting from January 1 with the spectacular mummer’s chasing out of the evil, festivals, competitions, thematic days and weeks are constantly interchanging here until the very Christmas and New Year holidays. Old-fashioned traditions and contemporary art interweave in this rich and colorful palette. Thus, the town attracts not only with the unique folk songs and dances, customs, rituals, florid costumes, unique folk artistic crafts, but also thematically with world jazz, ballet, pop music, opera, Balkan folklore and many others. So whenever a person might visit, they will come across an attractive festival, competition, dance and song contests and so on from this unforgettable holiday in Bansko. It should be emphasized here that all the cultural events in the town have been traditional for years, have already become internationally known, and many of the tourists come especially for some of Bansko’s theme festivals. It is enough to only mention the jazz festival, which is always from August 8th to 13th. Since its establishment in 1998 world renowned musicians from all continents and, of course, all famous Bulgarian jazz artists have come and continue coming. Many names and compositions can be listed but some might be unjustly missed. Therefore, as an illustration of the prestige and the level of the festival, it can be mentioned that one of the orchestras playing here is the one representing NATO! The mountain cinema festival, the ballet festival, the ethno-performances for which groups have come even from the distant and exotic Indonesia also are very renowned worldwide. About 700-800 dancing and singing groups from all over the world are traditionally involved in the festival for authentic folklore which takes place between May 17th and 24th, And at the theatrical celebrations of Bansko from July 1 to 7, the audience can see the best Bulgarian performances which have attracted numerous audiences and won prestigious Bulgarian and international awards. 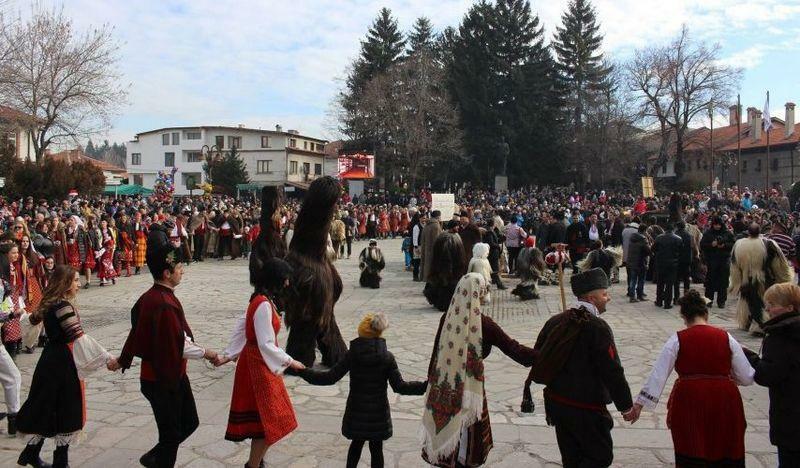 The attractive holidays of Bansko start on January 1 with the Mummer’s Festival. It is a symbolic ritual beginning of the year but also a spectacular sequel of the show from the night before for all who have chosen to celebrate New Year’s Eve at the resort. Among them, there are always Bulgarians and foreigners who do not stop filming and taking pictures with cameras and phones, and they carry memories for life all over the world. Moreover, the masquerade show, resounded by the hundreds of chans (Bulgarian musical instrument similar to a bell) on the strange leather costumes, grows into a universal folklore celebration. Changed into magnificent national costumes, Bansko people go round in a chain dance (horo), sing songs, famous folk artists perform concerts. In groups, the mummers (kukeri) “guard” the holiday with special rituals to banish the evil and for a fertile year. And the raised mood spontaneously engages into the folk dances even the inexperienced foreigners. The mummer’s craft is an old-fashioned tradition for the Bansko celebrations. In many homes, there are several generations of mummers – from the oldest to the little ones in the kindergarten. The costumes themselves are made of goatskin, with a hood over a meter long with a horse’s tail. At least four chans are attached to the leather belt. The more bizarre and fearful the costumes are, the better it is. There is an example given by the media at the beginning of 2017 for the extent of seriousness with which the locals are taking the mummer’s costumes. A man from Bansko has been preparing for a 10 years to make a special costume –- this long he had breeded goats in order to obtain a five-centimeter-long hair surpassing the Guinness record of 90 centimeters. And although he was offered 50 000 leva, he did not sell it. For the Mummer’s Festival in Bansko groups from three quartes are compete creativelt – Ulevinitsa, Vinovo blato and Kostey blata. Each quarter prepares their program with theatrical elements, which is kept secret until the show itself. In the morning, mummers gather at the first station of the gondola lift, from where the procession goes around the city under the rhythm of the drums and chans. At noon the gathering point is at the central town square where the spectacle begins. After the numerous Bansko celebrations, which provoke a lot of interest among the tourists, come the days of the Bansko traditions. The holiday occurs for decades and is held from May 17th to May 24th. With it the summer season at the resort starts officially. The days include various exhibitions – ethnographic, culinary, fine arts, applied arts. Thematic evenings are devoted to local antique customs, song and dance folklore, Bansko humor, and the week is full of concerts of the amateur groups from the region. At the end of May there is the great culinary exhibition of Bansko’s cuisine. It is held on the last Saturday of the month and traditional dishes prepared with authentic home recipes are presented. Here are all the iconic for Bansko dishes – chomlek, kapama, cheverme, Bansko kustureta (beans), kukurini, shupla, sache, Bansko shish, lamb specialties, katino meze and many others. Among all these delicacies, accompanied by homemade wine and rakiya, one easily understands why, apart from all other types of tourism, the culinary one is already developed here. 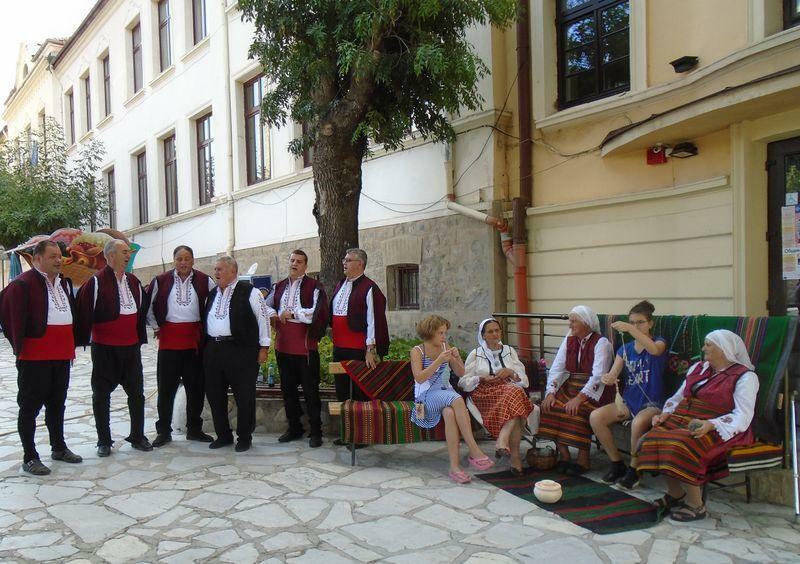 At the end of June, the next Bansko celebrations will begin, dedicated to culture and art in the region. Particularly interesting are the demonstrations of folk artistic crafts: wood carving, icon painting, embroidering, weaving, knitting, etc. The demonstrations, where the guests of the resort can participate in different stages of the works, are every Friday and Saturday until September 3 at the visitor center. They are accompanied by musical, song and dance folk performances that make them even more attractive. Visitors can see quite surprising, but very original and beautiful works – souvenir balls embroidered with drawings, corn foliage dolls, bottles decorated with eco-friendly or waste materials. The demonstrations are also accompanied by interesting exhibitions – such as authentic harvest, wedding, Easter and Sundays clothes; by energy paintings, woodworking, painting, etc. In the lobby of the information center icons of beads, sand and stones can be seen. In parallel to it, bagpipe, tamboura, folk dances and folk singing classes are held at the community center. There are special holidays in Bansko dedicated to the liberation of the city from Ottoman slavery. As is well known, the Ottoman rule here was rejected on October 5, 1912. Thus, on October 5, the Town celebration is traditionally held. Celebrations begin at the end of September and include a variety of events. The beginning is set by a big concert of the amateur groups from the municipality at the Vaptsarov community center. It presents a rich palette of customs, costumes, dance and song folklore, as well as various contemporary forms of performing arts. It also includes cinematography and photojournalism for the many-sided town of Bansko, various exhibitions. In the House of Arts, a special artistic evening dedicated to the heroes who contributed to the freedom of Bansko is held. A separate accent in the celebrations has the all-day sporting children’s holiday, organized at the stadium by the sports clubs. There, for the little ones there are different fun activities on special tracks, trampolines, interactive games, treats. October 5th itself begins with the service of a morning solemn liturgy. It is held at Saint Trinity, where Peyo Yavorov, as a voivode, announces that the Bansko people are free. In all schools with a solemn ceremony the national flags are raised, wreaths and flowers are presented in front of monuments and memorial tablets; there is also a commemorative celebration. The entire 5th of Octiber is an Open Door Day at the Museum complex, where you can see archaeological finds, ethnographic materials and artworks. Here are also the museums of Paisiy, Neofit Rilski, Vaptsarov; you can see unique pearls of the Bulgarian Renaissance architecture. Full of many emotions is the fishing tournament for children which starts around noon. For all residents and guests of Bansko in the evening there is a big concert of famous artists from the country, which ends with splendid fireworks. 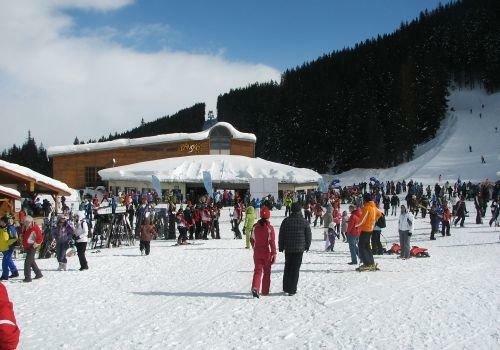 The official opening of the winter season is one of the most attractive holidays in Bansko. According to the weather, the celebration is held on different dates, this winter it was held on December 16th. Traditionally, the ceremony is very spectacular, and there are great prizes for the audience. In Treasure Hunters, enrolled viewers have a chance to win a brand new Audi A3 as well as other attractive prizes. The game takes place at Banderishka polyana at 1 PM. In the snow, boxes of prizes are buried and a search begins, as the snow is to be dug up without the aid of tools. The luxury car is the Grand Prize, and besides it, there is a holiday for two, ski equipment accessories, facility maps, etc. A new feature in prize games is that everyone who uses the lift during the opening day of the season has a chance to find gold coins and various gifts. This year’s game includes a bartender show with cocktail gifts. With this the interesting games do not come to an end. Traditionally, there are world-renowned contestants who face each other in a race and viewers can enter the champions’ teams. This game for the opening of the season 2017/2018 will be remembered with Christian Ghedina who holds the speed record and the five times world champion Marc Girardelli. Besides the emotion of being in the team of living legends, the participants also receive ski cards. The signing up is done online at game.banskoski.com or on site. The celebration is always accompanied by a lot of music, dancing, fireworks and fresh mood. In the program for the start of the season 2017/2018, Deo was chosen as the host, and as performers – Mihaela Fileva and Nova ballet as well as DJ Sprite. After Banderishka Polyana, the celebration traditionally continues in the city center. There are also numerous attractions, such as the unique Uti Bachvarov with his delicious and entertaining culinary show.